The tomb was found in a buried ridge at the ancient necropolis of Saqqara. It was untouched and unlooted, Mostafa Waziri, secretary-general of the Supreme Council of Antiquities, told reporters at the site. He described the find as “one of a kind in the last decades”. 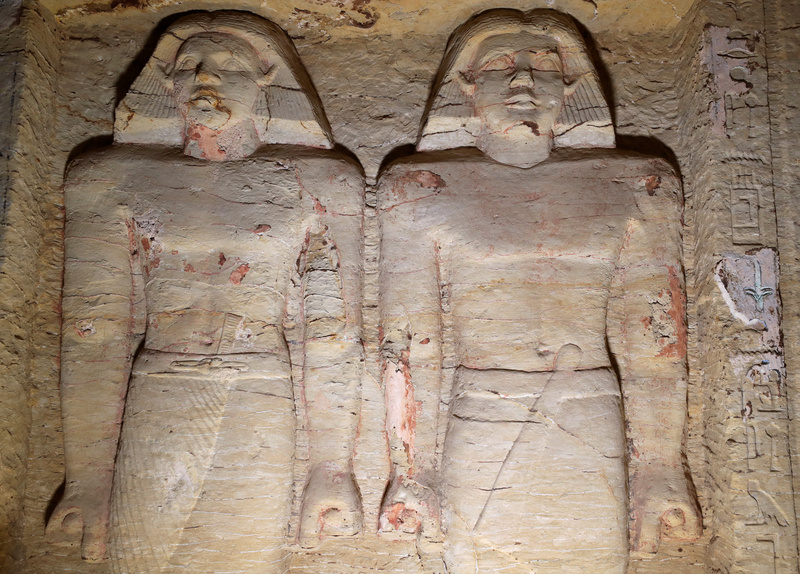 The tomb dates from the rule of Neferirkare Kakai, the third king of the Fifth Dynasty of the Old Kingdom. 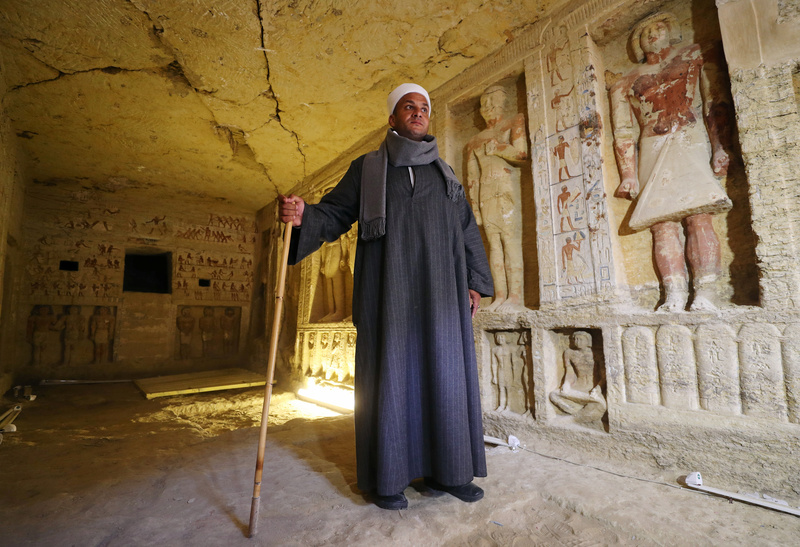 Archaeologists removed a last layer of debris from the tomb on Thursday and found five shafts inside, Waziri said. One of the shafts was unsealed with nothing inside, but the other four were sealed. They are expecting to make discoveries when they excavate those shafts starting on Sunday, he said. He was hopeful about one shaft in particular. The tomb is 10 metres (33 ft) long, three metres (9.8 ft) wide and just under three metres high, Waziri said. 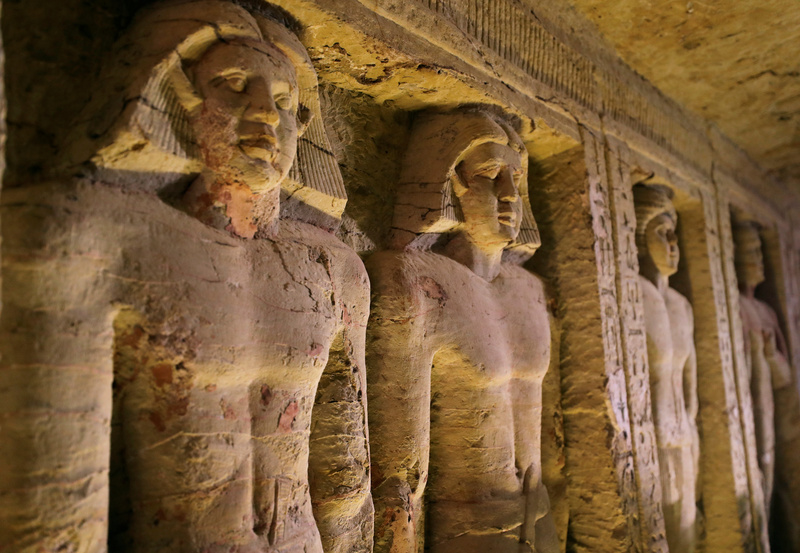 The walls are decorated with hieroglyphs and statues of pharaohs. Waziri said the tomb was unique because of the statues and its near perfect condition. 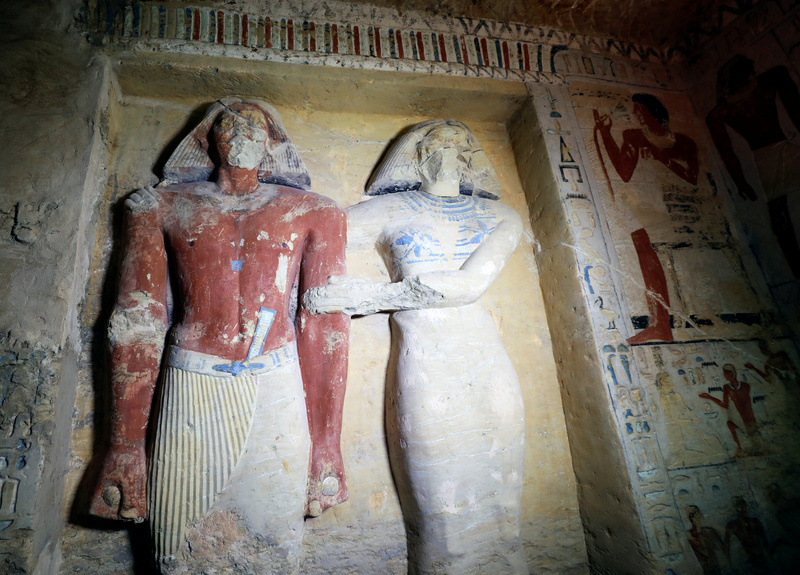 “The colour is almost intact even though the tomb is almost 4,400 years old,” he said. The tomb lies in a buried ridge that has only partially been uncovered. Waziri said he expects more discoveries to be made there when archaeologists start more excavation work in January. The Fifth Dynasty ruled Egypt from about 2,500 BC to 2,350 BC, not long after the great pyramid of Giza was built. Saqqara served as the necropolis for Memphis, the capital of ancient Egypt for more than two millennia. 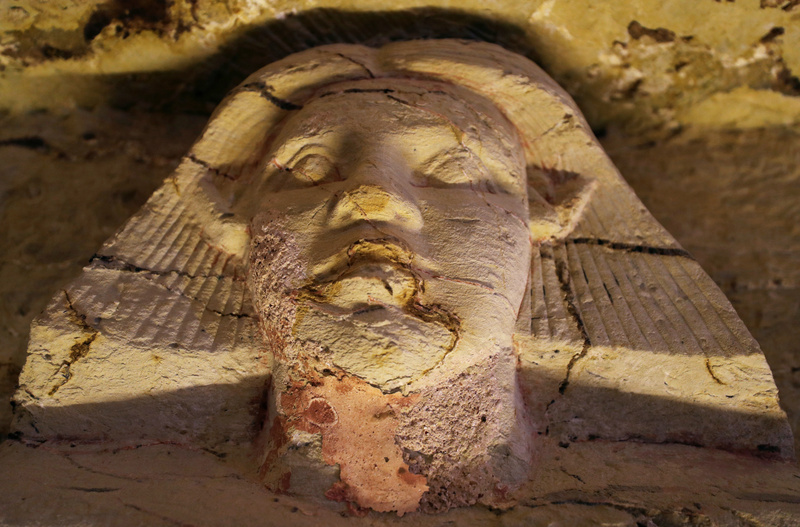 Egypt has revealed over a dozen ancient discoveries this year. 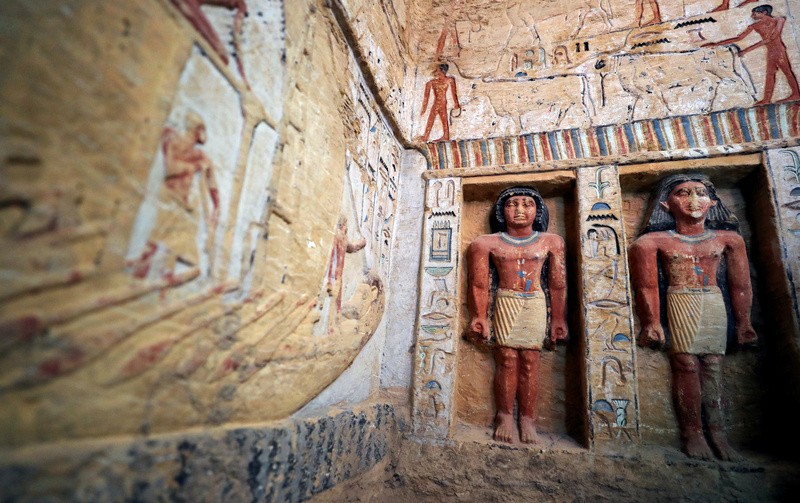 The country hopes the finds will brighten its image abroad and revive interest among travellers who once flocked to its iconic pharaonic temples and pyramids but who fled after the 2011 political uprising.